We’ve had a pretty significant upswing in search engine traffic lately, so we thought it would be cool to take a look at how our users access SeatGeek. 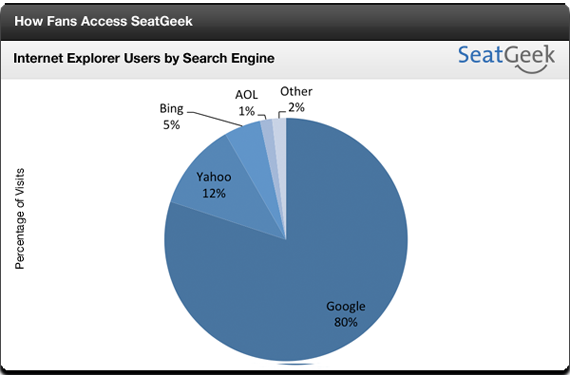 For the unfamiliar, SeatGeek is a ticket search engine that aggregates the web’s best sports, concert, and theater listings all in one place. We help you find the best deals using Deal Score. 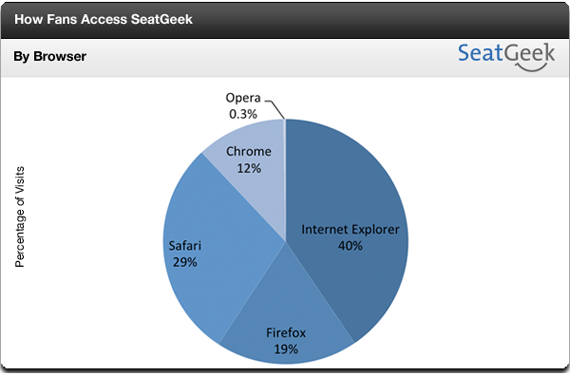 40% of our organic traffic comes from Internet Explorer users. 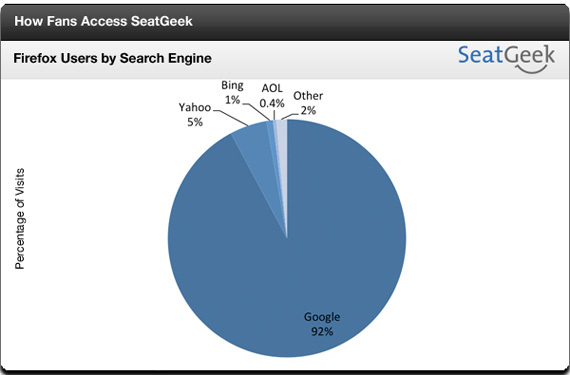 The next closest is Safari at 29%. 88% of our organic traffic comes from Google. Yahoo is the next largest at a mere 8%. The lowest percentage of Google traffic by browser came from Internet Explorer: 80% of our IE organic visits came from Google while 12% came from Yahoo. 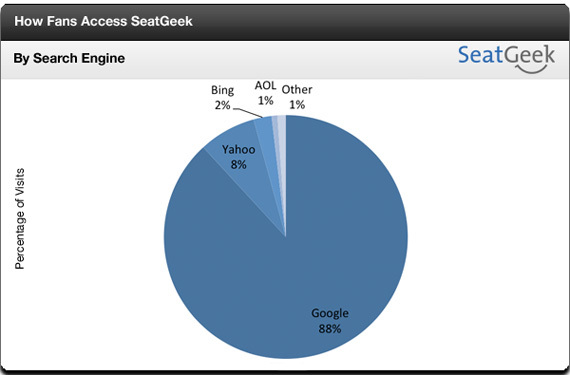 The highest percentage of Google traffic came from (not so surprisingly) Chrome: 97% of Chrome visits came via Google. As always, leave comments in the box below or feel free to follow us @SeatGeek!